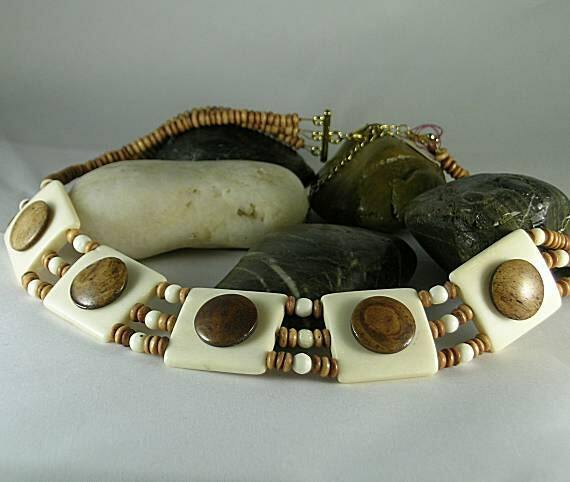 Layered bone discs make this three strand necklace absolutely stunning! 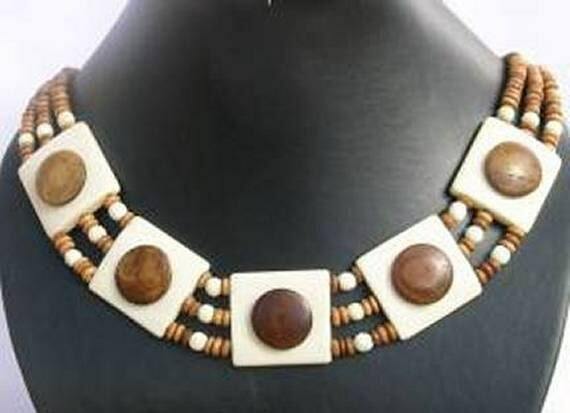 White squares with brown bone circles are separated with brown rondelles and white round beads to give it a nice curve to hug your neck. 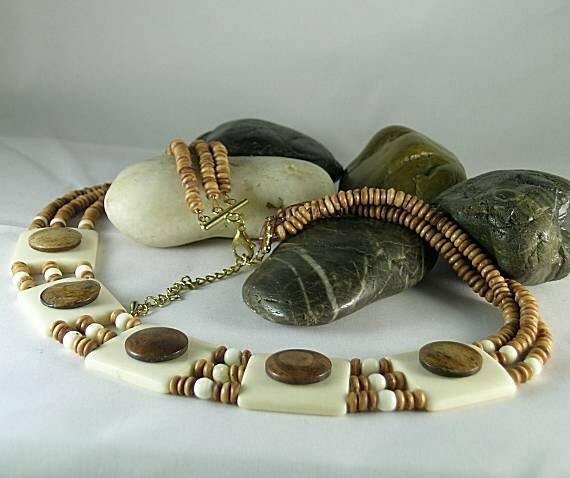 The necklace is approximately 20" in length with a lobster claw closure and an extender chain. 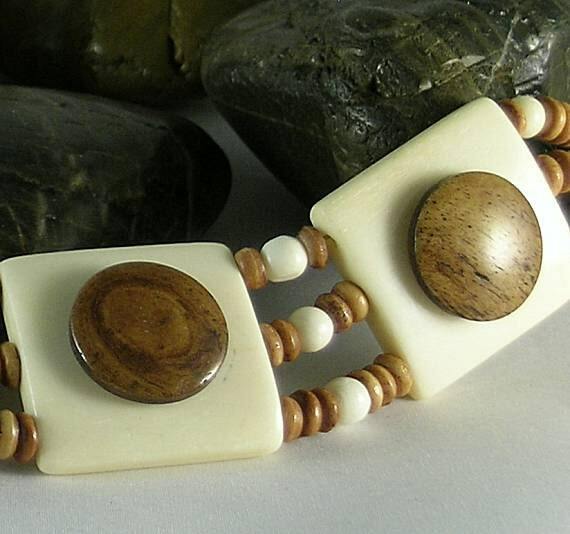 Bracelets are available in white squares with brown disc or large brown disc with smaller white disc layered on top. 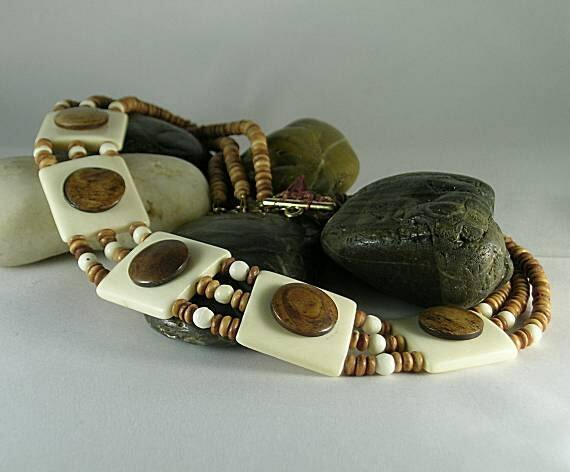 Convo us, if interested.